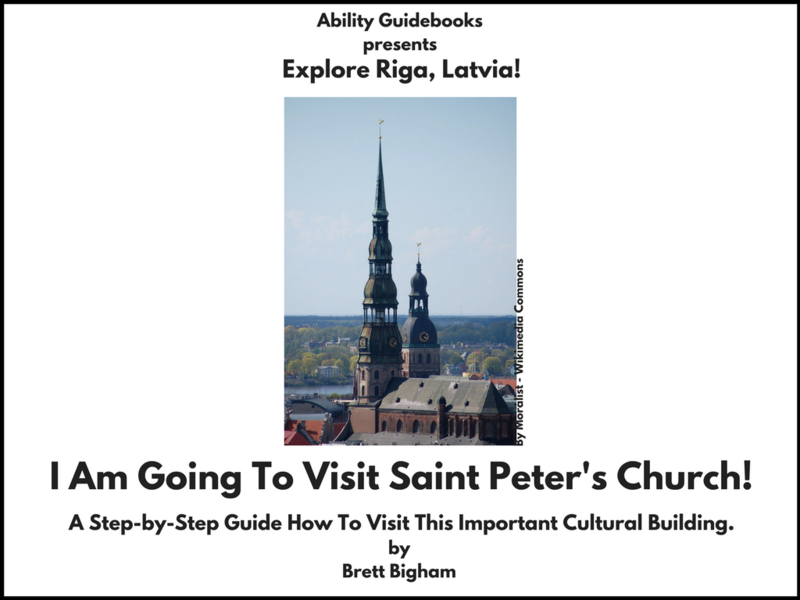 My Ninth And Final Ability Guidebook For Riga. I Am Going To Kronvalda Park! Free International Supports For People With Autism. This is a very good feeling. I have just finished the ninth and final book for Riga. It has taken a pretty good numbers of hours and effort but I’m confidant that having this many books for one city can make a difference. 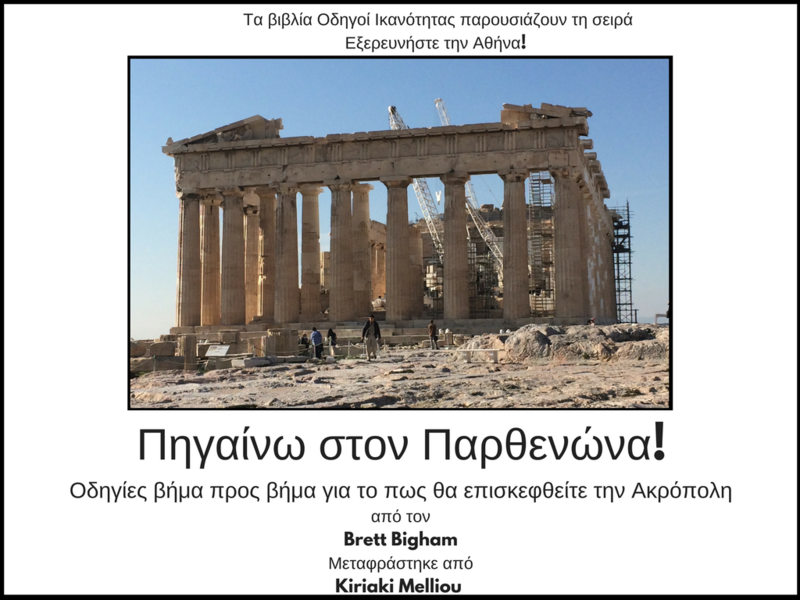 By creating nine outing books that gives a teacher nine monthly field trip options. It gives a family a whole list of places to go. Ability Guidebook_ I Am Going To Kronvalda Park! 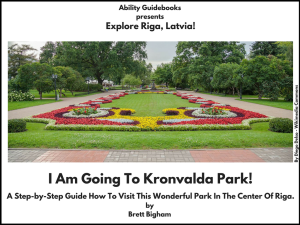 Author Brett BighamPosted on October 22, 2017 Categories UncategorizedTags Ability Guidebook, autism, autisms, brett bigham, Kronvalda Park, Latvia, oregon, Riga, teacher of the yearLeave a comment on My Ninth And Final Ability Guidebook For Riga. I Am Going To Kronvalda Park! Free International Supports For People With Autism. The 72nd Ability Guidebook! For Riga- I Am Going To Saint Peter’s Church! A Free Support For People With Autism. 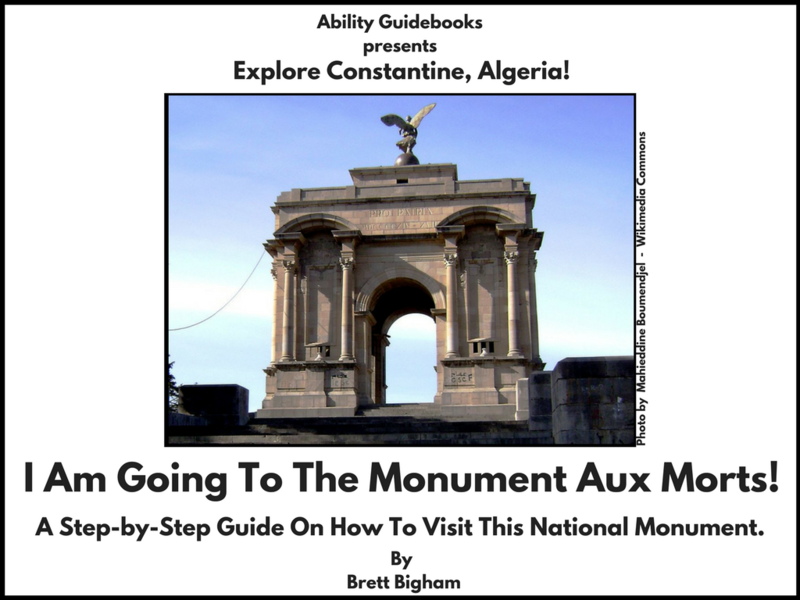 It is hard to believe that there are now 72 Ability Guidebooks! They are a labor of love and every time I finish one I picture it helping one person get out into the world. Having this to study might make all the difference for a kid’s success on a classroom field trip. If you speak Latvian and want to translate it, I would sure appreciate it! 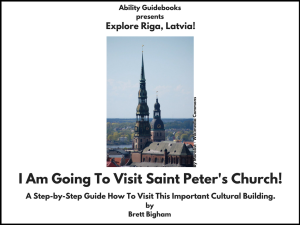 Author Brett BighamPosted on October 22, 2017 Categories UncategorizedTags Ability Guidebook, autism, autisms, brett bigham, Latvia, oregon, Riga, Saint Peter's Church, teacher of the yearLeave a comment on The 72nd Ability Guidebook! For Riga- I Am Going To Saint Peter’s Church! A Free Support For People With Autism. 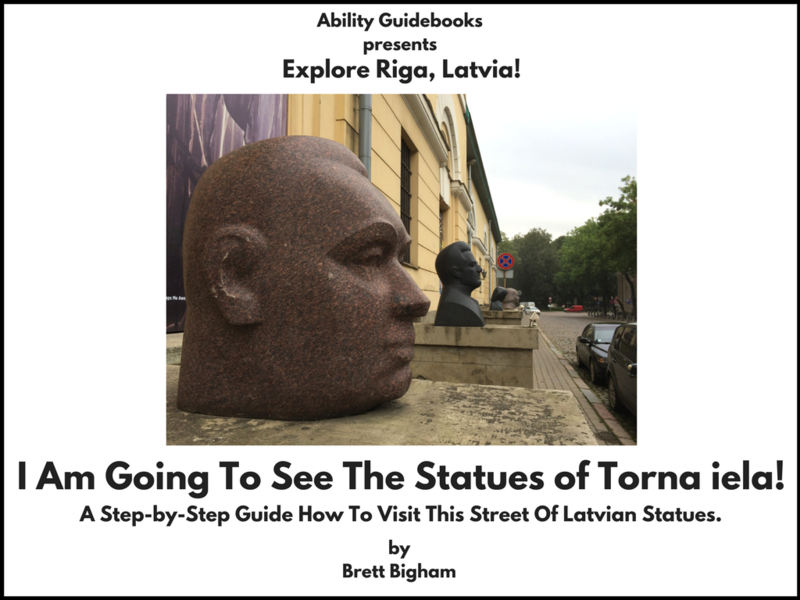 Riga Now Has Seven Ability Guidebooks To Help People With Autism Enjoy The City! I Am Going To The Freedom Monument! The Freedom Monument is in many ways the heart of Riga. The nearby Opera and the Freedom Monument have played important roles in the history of Latvia. Enjoy your visit! Author Brett BighamPosted on October 21, 2017 October 25, 2017 Categories UncategorizedTags Ability Guidebook, autism, autisms, brett bigham, Freedom Monument, Latvia, oregon, Riga, teacher of the yearLeave a comment on Riga Now Has Seven Ability Guidebooks To Help People With Autism Enjoy The City! I Am Going To The Freedom Monument! For Riga with love! If you can translate this book into Latvian I would love to hear from you! In English it is limited to how many people it can help but in Latvian it would help so many more! Ability Guidebook_ I Am Going To Ride Boats on the Pilsētas kanāls! Riga’s Fourth Ability Guidebook! Free Resources For People With Autism! Some of my Ability Guidebooks are for complex places with tickets, entrance halls, security and need to contain a lot of information. Some of the books are for much easier outings like visiting Torna iela in Riga, Latvia. The Latvian National Museum of Art has lined the block with Soviet-era busts either of or by famous Latvians. This is a perfect outing for someone who is just learning how to travel into the community. Sometimes these books can be layered. The first trip might just be a walk around the building you want to visit on a later date. I loved this street in Riga. We did not know about it and stumbled upon it when we care around the corner. I hope you enjoy visiting! 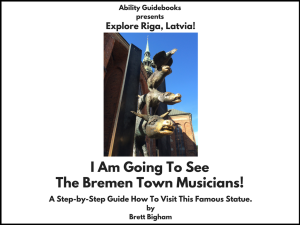 Author Brett BighamPosted on October 18, 2017 Categories UncategorizedTags Ability Guidebook, Arsenal, autism, autisms, brett bigham, Latvia, Latvian National Museum of Art, oregon, Riga, street of statues, teacher of the year, Torna ielaLeave a comment on Riga’s Fourth Ability Guidebook! Free Resources For People With Autism! 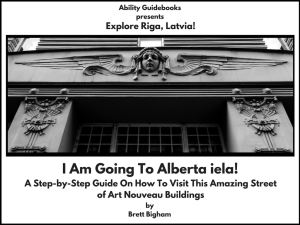 Ability Guidebook_ I Am Going To Alberta iela! I Am Going To The Latvian National Museum of Art! 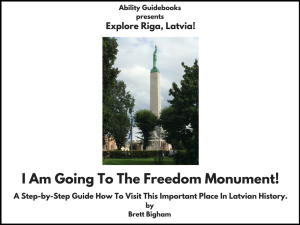 Latvia’s first Ability Guidebook! 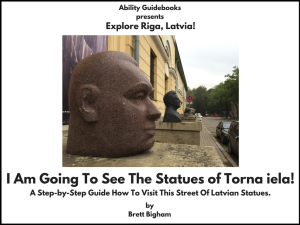 I’m very proud to announce Latvia is the seventh country to have Ability Guidebooks! This museum has a wonderful collection of classical and modern Latvian artists! Hopefully I can get this translated into Latvian to help local people visit the museum. 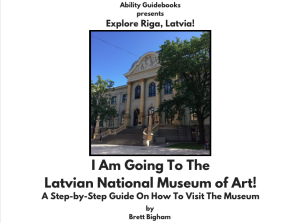 Ability Guidebook_ I Am Going To The Latvian National Museum of Art! 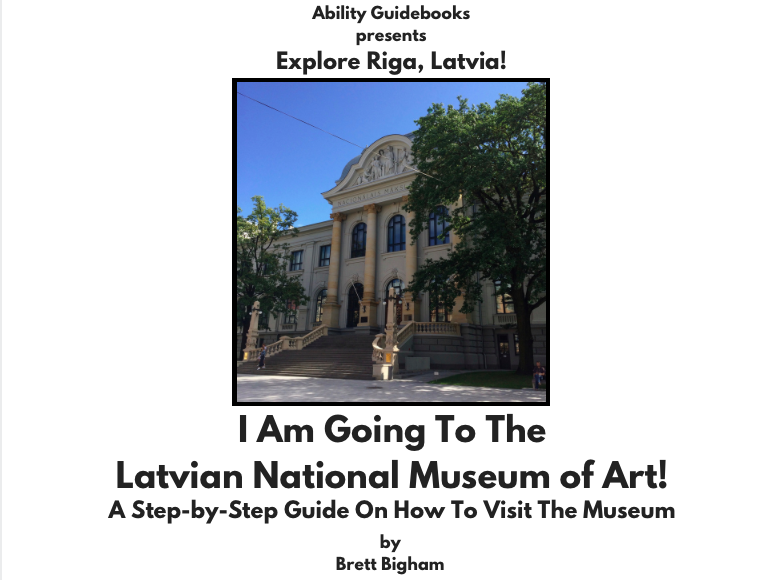 Author Brett BighamPosted on September 8, 2016 Categories UncategorizedTags Ability Guidebook, autism, autisms, brett bigham, Latvia, Latvian National Museum of Art, Latvijas Nacionanālais Mākslas Muzejs, Oregon State Teacher of the Year, Riga, supportLeave a comment on I Am Going To The Latvian National Museum of Art! 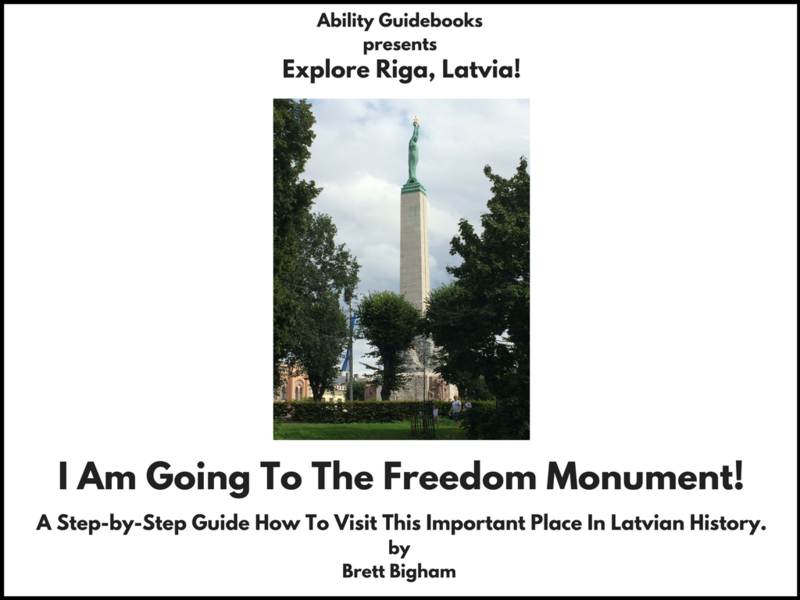 Latvia’s first Ability Guidebook!